The mouse is almost an extension of our limbs now. But what skills can you fall back on when you mouse dies? The humble keyboard can be your savior. That’s why it’s important to learn all the keyboard shortcuts The Best Ways to Learn All the Keyboard Shortcuts You Will Ever Need The Best Ways to Learn All the Keyboard Shortcuts You Will Ever Need There are many keyboard shortcuts you aren't using. We bring you all the right resources to teach you everything you need to know about keyboard shortcuts. Memorize keyboard shortcuts for instant productivity. Read More because you don’t know when you will need them. Also, learn to use the accessibility feature called Mouse Keys that’s available on Windows. Mouse Keys is designed for people who have difficulty in using a mouse. The function is common for both operating systems, and it lets you control the mouse pointer with the keyboard. On Windows, the numeric keypad on your keyboard helps move the pointer across the screen. Here’s how you can turn it on. Click the Start button > Control Panel > Ease of Access > Ease of Access Center. Under Control the mouse with the keyboard, select the Turn on Mouse Keys checkbox. You can also configure Mouse Keys further by going to Set up Mouse Keys. For instance, the Pointer speed and its acceleration. Also, you have to select the key which will act as the replacement for the active button in your mouse. You can set only one button as the active button at a time. In the above list, the number 5 key is missing. Single-click on any item on your screen by pressing 5 after you have selected an active button. For example, to click an item, set an active button, point to the item and then press 5. Double-click on any item on your screen by pressing + after you have selected the active button. Remember to configure the Mouse Keys before you mouse malfunctions. If you use a wireless mouse then it is a good idea to keep this accessibility setting switched on. 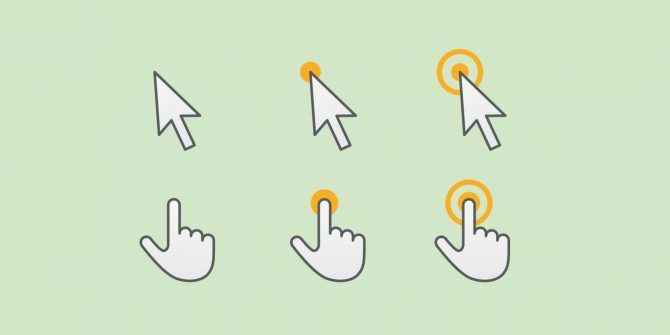 Explore more about: Computer Mouse Tips, Keyboard Shortcuts, Troubleshooting. Just a word of caution. I played around with this feature and then forgot about it. Later on I discovered my numeric keypad no longer functioned as a keypad. I pulled my hair out for about 30 minutes before I realized that was the problem. Moral: If you use your numeric keypad to input numbers then don't activate this feature. I configured the mouse pointer with the analog pad from a USB game controller and the JoyToKey application for Windows to map the buttons and cursor movement. Thank you for this article. I'm glad to learn about mouse keys. Sometimes it's better not to use the mouse and strain the wrist.